Do you have a concern about your dog’s behavior? Does he bark or growl at strangers? Is he reactive toward other dogs? Have you struggled to help him overcome his fears? Has he snapped at or bitten someone? 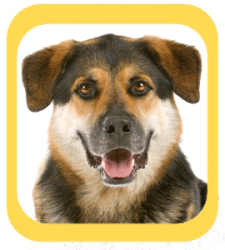 If any of these sound like your dog, a behavior assessment might be the right choice for you. In an assessment, we look at a variety of traits (including sociability, ability to recover from stress, resource guarding, handleability, reaction to strangers, and more) to try to determine what the best behavior plan is for each dog. Behavior assessments are a great option if you are having specific behavioral issues or if you are trying to choose the best dog for your family. The evaluation lasts approximately one hour for one dog or 90 minutes for two. Evaluations are generally scheduled during business hours M-F . Please email us before purchasing this product.